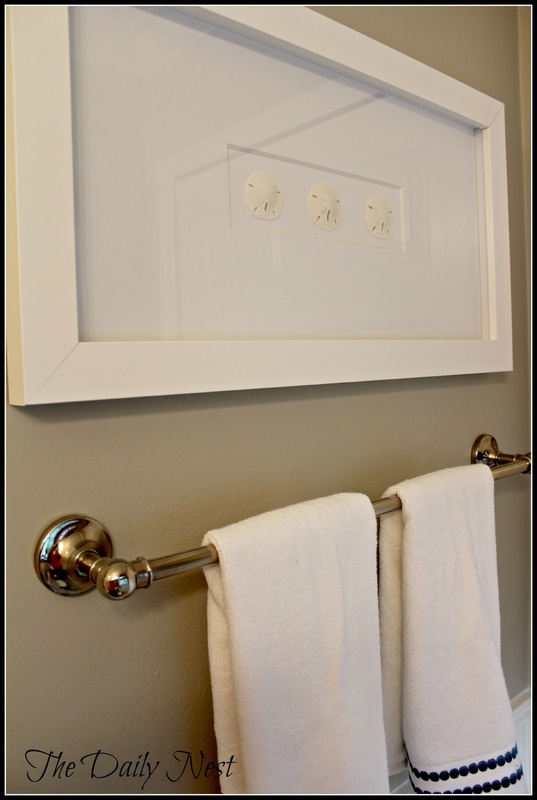 Bathroom Tweaking And A Pottery Barn Giveaway!! 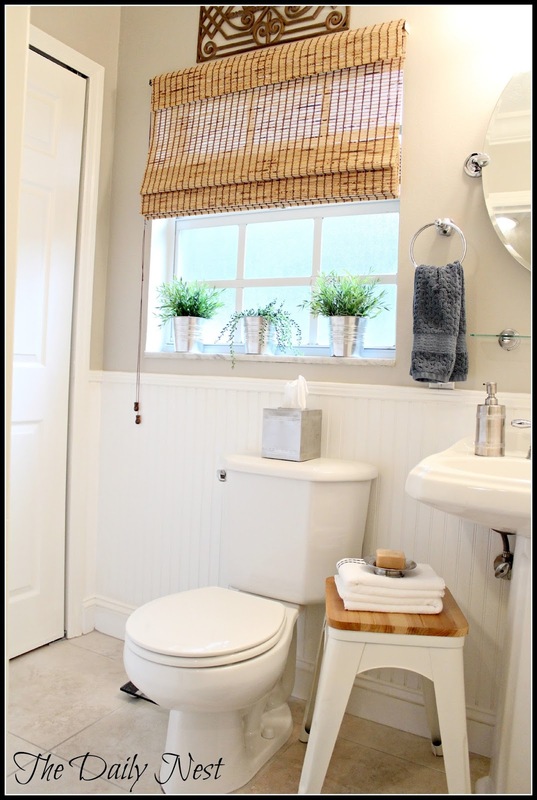 The Daily Nest: Bathroom Tweaking And A Pottery Barn Giveaway!! 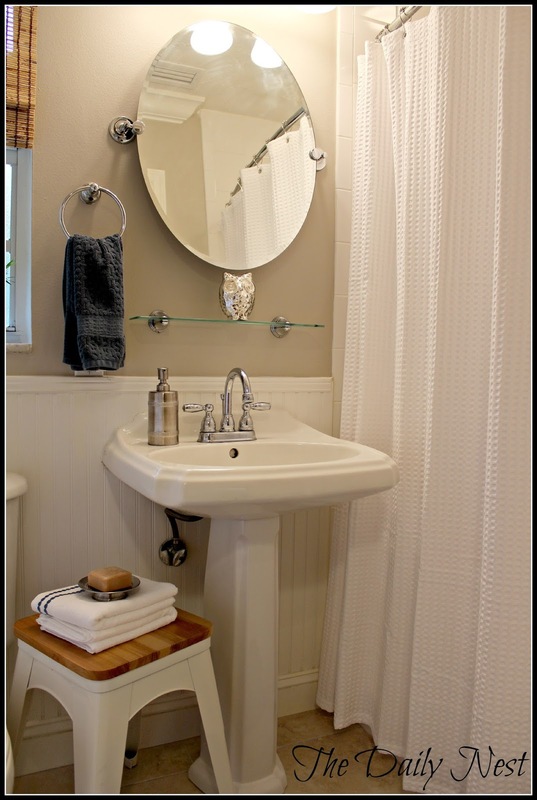 Bathroom Tweaking And A Pottery Barn Giveaway!! 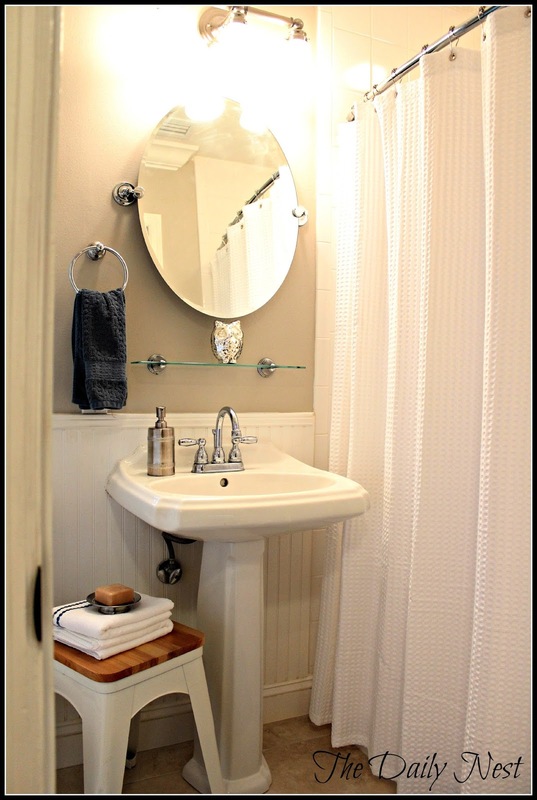 To say that this bathroom has been last on my list is an understatement! For one it's so small that it's hard to get my creativity flowing because I mean come on what can you do in there that will really WOW! This is how it looked a few months ago before paint and little "Tweaking"
This is with the excuse me, poop colored walls! Sorry I had to say it! We had it painted Benjamin Moore's Revere Pewter and White Dove for all the trim. What a difference a day and some paint makes! A few accessories from Homegoods and things looked fresh, clean and crisp! But there are still some things that are on the list. 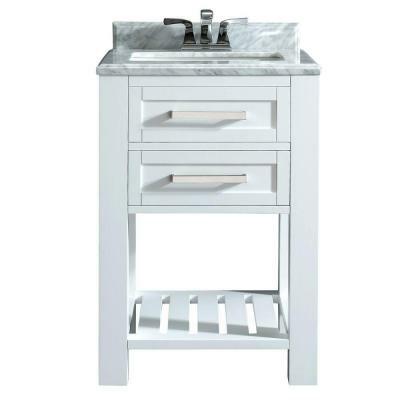 I've ordered this vanity from Home Depot that I think will look great and give us a bit more storage. I can put a couple of baskets on the bottom shelf or store some nice white towels there. 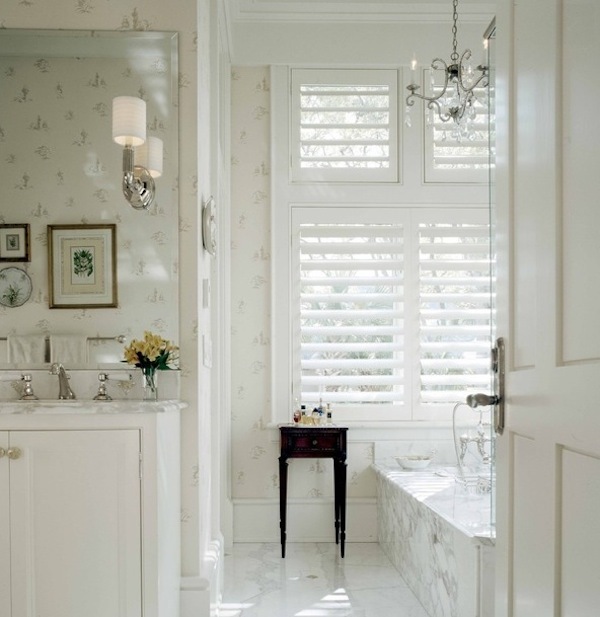 I'm also adding plantation shutters to the window. I toyed with the idea of roman shades. But, I'm a shutter girl. They're classic and never go out of style. An added bonus is they're easy to clean in a bathroom. Just wipe clean! 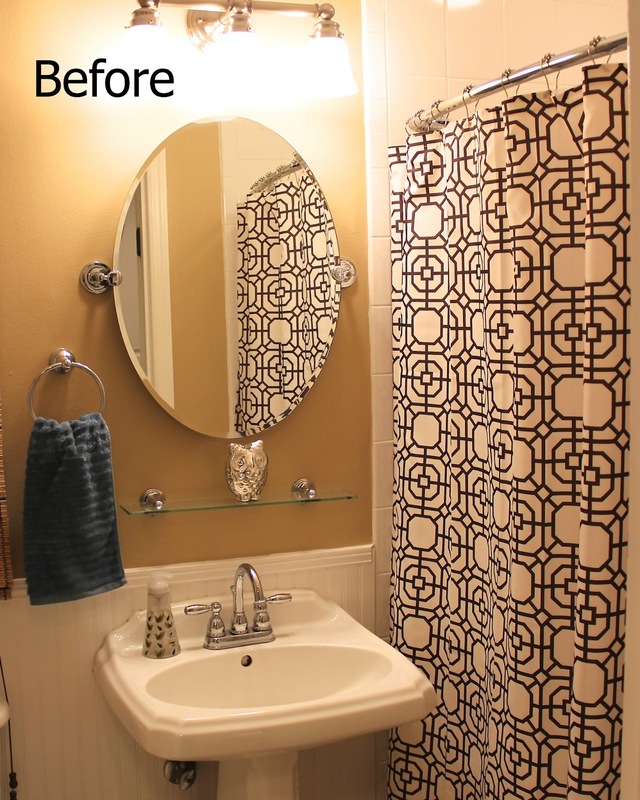 So that's my bathroom tweaking that was done in just a couple of days! 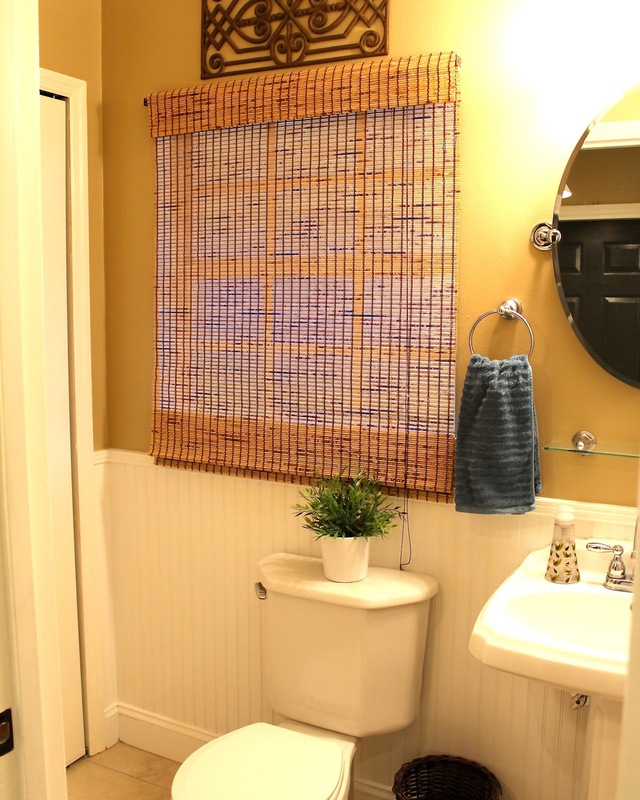 Do you have a bathroom that needs tweaking? I'm also excited for my first giveaway of a $100 Pottery Barn gift certificate! Leave me a comment telling me what you would purchase from Pottery Barn if you won! Like The Daily Nest on Facebook, Pinterest or Tweet the giveaway!